244 pages | 19 B/W Illus. The aim of this book is to examine and analyse the phenomenon of ‘Japan-bashing’, from its invention and popularisation in the United States in the late 1970s to the emergence of other national variants, including in Australia and Japan, to its gradual decline in the late 1990s. 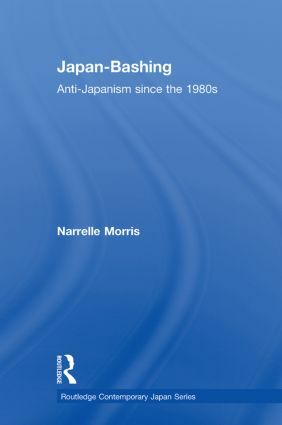 It is the first major book-length study of ‘Japan-bashing from a multinational perspective, one that attempts to place ‘Japan-bashing’ in its proper historical context and to examine its operation and legacy in the twenty-first century. Despite its importance in the study of discourses about Japan, as well as in understanding broader global changes in the late twentieth century and beyond, the phenomenon of ‘Japan-bashing’ remains largely neglected in published writings. Moreover, it is a far more complex phenomenon than has been assessed thus far. While, on first glance, ‘Japan-bashing’ merely seems to recall other periods in which Japan has been viewed as a dangerous ‘other’ to ‘the West’, such as the Western emphasis on the ‘yellow peril’ from the late nineteenth century as well as Allied anti-Japanese propaganda during World War II, ‘Japan-bashing’ also had its own distinctive characteristics. Moreover, while ‘Japan-bashing’ is often described as a quaint historical, rather than a pressing contemporary, phenomenon, it is actually by no means extinct. The ongoing influence of ‘Japan-bashing’ also has parallels in other ‘bashing’ phenomena, such as ‘China-bashing’. This book will be of interest to scholars and postgraduate students in Japanese studies and international relations. Narelle Morris is a research fellow at the Asia-Pacific Centre for Military Law at The University of Melbourne, Australia.